If you needed any more proof of the (literally) poisonous effects of bauxite mining in Kuantan, here it comes: studies done by the Malaysian Fisheries Department have shown that local fish has been contaminated with heavy metals. 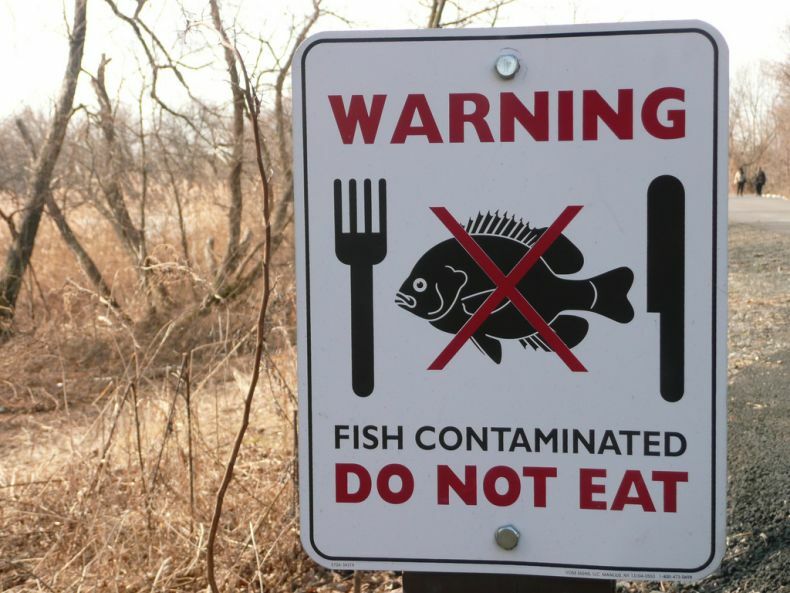 The contamination has, in other words, entered the food chain, just as environmentalists warned that it would. The department’s team took samples from 64 specimens belonging to 25 fish species from several rivers, including Sungai Balok, Sg Penggorak, Sg Riau, Sg Mabuk, Sg Padan, Empangan Kobalt, Kuala Penur and Tanjong Lumpur. They then tested the fish for a variety of metals in their systems, including aluminum, iron, magnesium, zinc, cadmium, chromium, lead, mercury, copper, arsenic and selenium. The levels of contamination the analysis detected were relatively low, according to the department, but it was still at concentrations that was pushing the maximum acceptable levels as specified by the country’s Food Act. None of this will of course come as a surprise to anyone who has been paying attention to the extent of pollution from bauxite mining in Pahang. Already in October 2015, as we pointed out here at Clean Malaysia, tests done in Sungai Pengorak showed up the presence of aluminum, silver, cadmium, iron, lead, chromium and mangan in the water, exceeding levels deemed safe by experts. Samples from Pantai Pengorak found that lead, chromium, copper and zinc exceeded allowable limits, as well. A year ago a well-known Malaysian scientist warned that locals in Pahang could be at risk of the horrifying effects of heavy metal poisoning because of the presence of such metals in local water sources. “Almost all the water for consumption in Kuantan is drawn downstream from the mines,” said Dr Maketab Mohamed, an associate professor at Universiti Teknologi Malaysia. Sadly, although not surprisingly, experts who warned of the toxins’ spread have been proven right. To its credit, Malaysia’s federal government placed a moratorium last January on all bauxite mining in Pahang to prevent further harm from being inflicted on the state’s environment. The ban remains firmly in place. The damage has been done, however. It remains uncertain how long it will take the soil and water of Kuantan to fully recover the ravages of rampant bauxite mining.